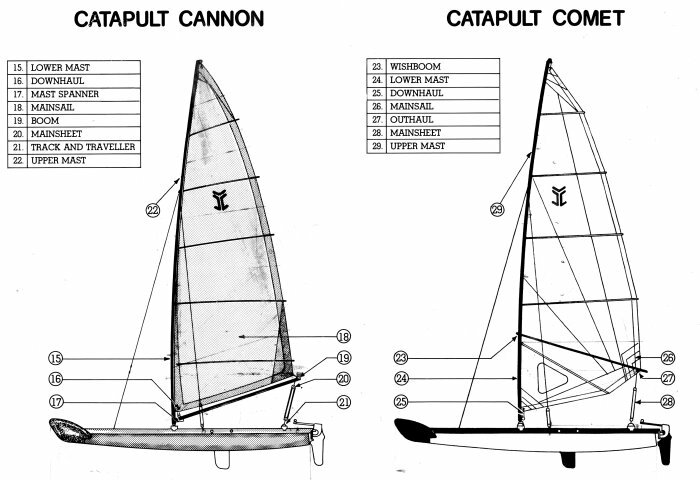 Bob Schuck came to the rescue when there was an early threat that the design would be sold off cheaply, and took over Catapult production from Jon Montgomery in 1984. John Peperall used a different and simple solution -- putting a zip in the luff sleeve from the hound opening down to the tack. 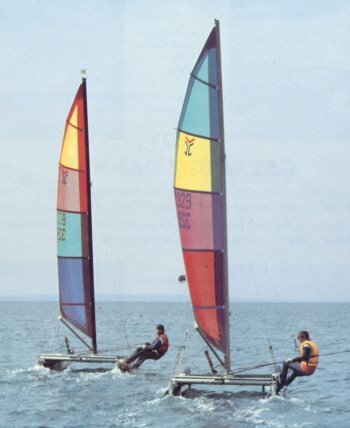 The suggestion was not taken up, as another aim was to add the trapeze option to the Catapult, and the light Classic mast was not strong enough. Bobby Schuck introduced two new rig versions, each with a 7m mast. The Cannon was a more conventional rig with a boom (rather than the more novel wish-boom) and a wide traveller with a 6:1 mainsheet purchase. 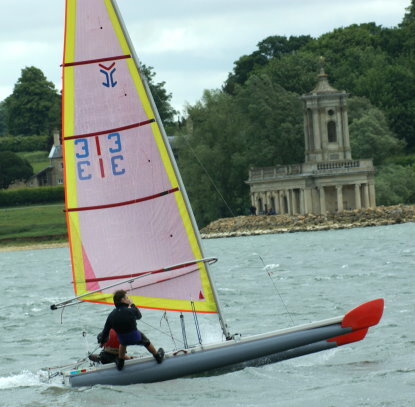 The Comet design brought Catapult into direct competition with the then Spark (Sprint 15) and used the same mast section as the Spark, but had a wish-.boom, and a slightly smaller sail than the Spark at 10.25sqm, and was about 15kgs lighter. 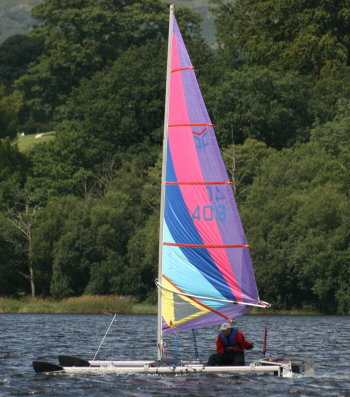 Some owners tried an alternative lighter mast for the Comet sail by adding a luff track to the redundant Classic masts. 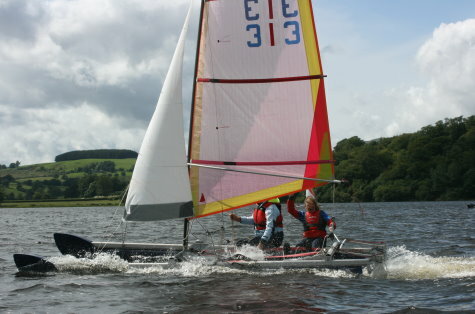 This worked well in light airs but the mast was too bendy for anything stronger and for trapezing. The Comet in particular kept the Catapult flag flying 1985-88 until Jon Montgomery with Topper International introduced the TI in 2000. 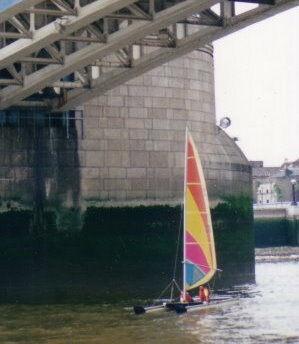 As Jon wrote, Bobby Schuck persevered with many innovative promotions, initiating the Thames race from Putney Bridge to the Thames Barrier, and a sailing trip around Ibiza, when 17 boats were flown over and everyone had a marvellous holiday.